The popularity of anabolic steroids among athletes in those sports where a lean and muscular physique is the ultimate tool to reach the highest goals should be a clear indicator that steroids are key to performing one’s best features at even competitive levels – in elite sports of every type. But such levels of results don’t come just by ingesting pills and sitting in your favorite armchair on the porch of your house. It takes also proper diet and nutrition, coupled with the appropriate training programs – it is necessary if you want bigger muscles, it does if you want to be stronger – it does too for increasing your endurance. It doesn’t matter really at all if you supplement with only products that have the highest potential of making you the next model no. 1 for high street clothing brands: you won’t be that or any near to that if your diet and your training habits are less than excellent. Training properly and constantly can make a huge difference in your cutting/weight loss goals, provided you stick to some basic principles. The main point here is to cut and lose weight without losing muscle mass. Write down the reasons as to why you have this goal – i.e., “I want my body fat to drop by …….” But be realistic, you won’t drop 25% of your body fay in just a few weeks – be reasonable and you’ll end up where you want to. Eat regularly, which means that you will eat every 3 hours – so you will be having 6 or7 meals a day. You will eat the same total daily amount of calories than you need, just dividing that total in more meals per day. 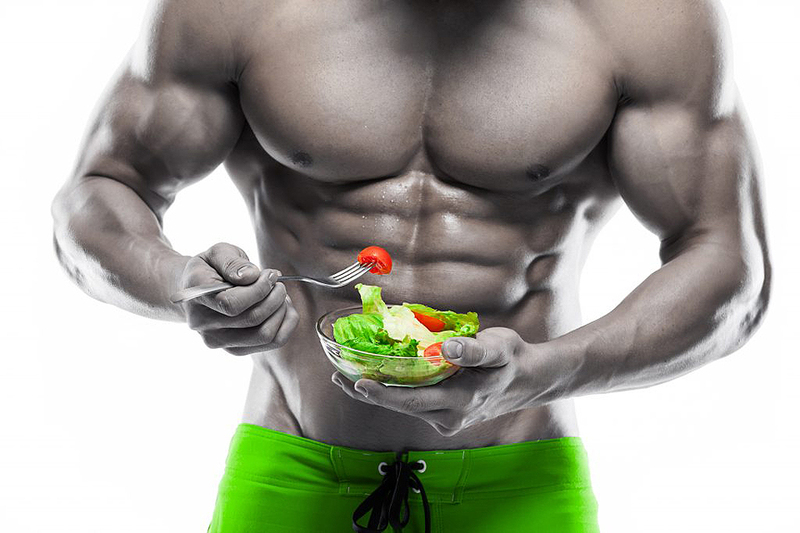 In order to drop body fat, you have to eat less calories than those which you lose in your overall activity, so to create what’s called a “negative balance” – less calories eaten that used means dropping weight and getting a great cut in time. Apply just the above 3 basic principles and you’ll see soon how your body starts losing the excess unwanted weight, while your cutting gets better and you retain your muscle mass 100%. The solution is implementing anabolic steroids, effectively and safely – getting through steroids that ‘helpful hand’ that will trigger additional results so to reach your desired physique. We said ‘effectively and safely’, yes. Because not all steroids, like men, have been created alike though. Your winning edge towards that dream physique you are longing for doesn’t come just by implementing any anabolic steroids, such as those under-dosed, fake and dangerous products coming from unreliable, unknown, unrated and dishonest manufacturers / suppliers that fill the online market nowadays. You need reliable, tested, first class, effective and safe suppliers and steroids – if you want the results you need and no dangerous side effects. Stanozolol (Winstrol),an especially strong and effective steroid used to improve dryness and increase vascularity during a cutting cycle. Reviews taken from specialized pharma sources and directly from satisfied users have concluded that the variant Stanazolol by Magnus (available in both oral and injectable forms) is the ultimate and especially strong and effective one available on the market in order to improve dryness and increase vascularity during a cutting cycle. Trenbolone Enanthate: Trenbolone is perhaps the best steroid for cutting, given that it binds to androgen receptors and hence inhibits lipid uptake. So, wen training, you drop the subcutaneous adipose tissues and get that cut look you want. The best variant is said to be Trenbolone Enanthate by Swiss Remedies, a pure enanthate version that facilitates the formation of lean muscle mass, increases body strength, and is fast and effective at stripping away fat. Oxandrolone (Anavar), a favorite steroid for individuals who are cutting due to its ability to prevent catabolism while on a calorie deficit. Most of our reports show that the favorite no. 1 variant is Anavar Oxandrolone 10mg by Magnus, an easy-to-implement oral form which has low androgenic activity and is ideal for cutting cycles. T3 Liothyronine Sodium a hormone that speeds up your basal metabolic rate, and is perfect for cutting and weight loss – it is incredibly efficient at breaking down body fat, hence why it is so widely used by professional bodybuilders in contest preparation or in a cutting cycle. The best and purest? Definitely Liothyronine Sodium T3, unbeatable for achieving dramatic weight loss results over a small time frame. Nandrolone decanoate is one of the most-powerful muscle-building and strength-boosting steroids available. Explosive muscle growth, increases your red blood cell count, Increases the immune sistem. In one cycle you can gain under 8kg (16 lbs) of muscle mass with minimal rollback phenomenon.